I nearly had a heart attack when I spied these at my local CVS. My store never has anything new or LE. 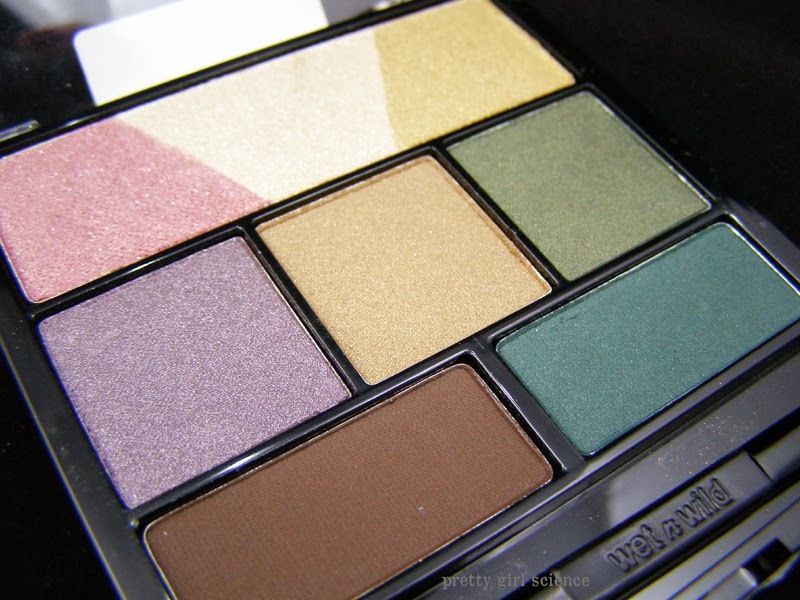 These Holiday 2013 shadow palettes are the first thing new they've had in I don't know how long. I snatched this one up immediately. I did a quick-and-dirty swatch on my arm. I used the sponge applicator, and no primer/base. I'd say it's fairly impressive for a single swipe on bare skin. I am most excited about that matte-ish hunter green. 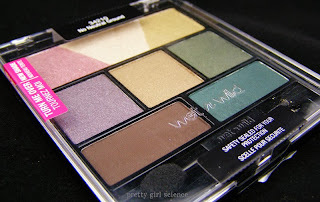 (The package says it's matte, and it looks pretty matte on the skin, but you can see a bit of shimmer in the pan.) As a green-eyed person, I can tell you that good dark greens are hard to find for a good price. If you see this palette, I highly suggest picking it up. The colors are very wearable, and wonderfully pigmented.